Lovell’s work is inspired by his fascination with history as well as stories told by his grandparents. His portraits are referenced from his large archive of photos of unidentified African Americans from the early twentieth century – including passport pictures and mug shots. He states, “The importance of home, family, ancestry feeds my work entirely. 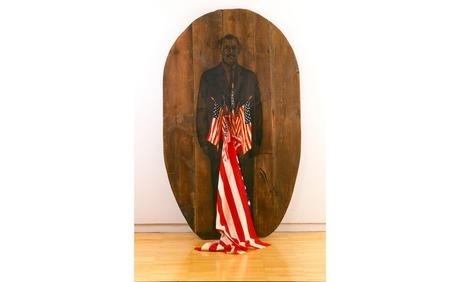 African Americans generally were not aware of who their ancestors were, since slaves were sold from plantation to plantation and families were split up.” The men and women featured in Lovell’s work, although with faces often weighted with strife, reveal consummate strength and determination.